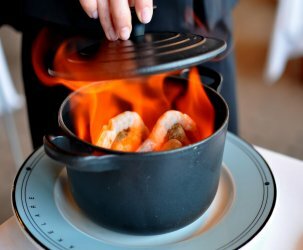 Food blogs, food sections and food writing are wonderful sources of inspiration and entertainment for me and countless others. While writing about Jaspa’s pavlova the other evening, something unexpected happened—I became my own source of inspiration. 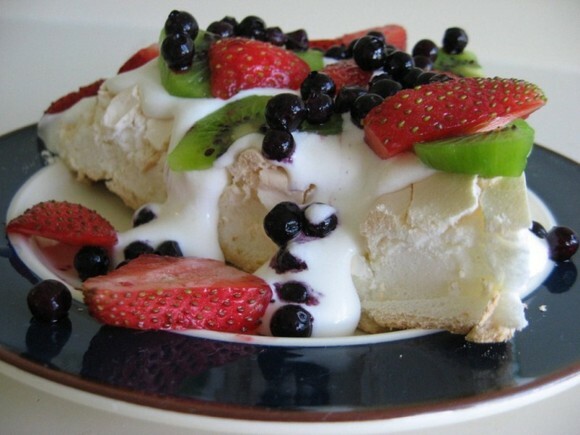 Reminiscing about my first pavlova got my creative juices flowing and I was determined to re-create the Aussie/Kiwi magic in my own home. In the words of Miss Adventure, ta da! Preheat oven to 350° F. and line a large baking sheet with foil. 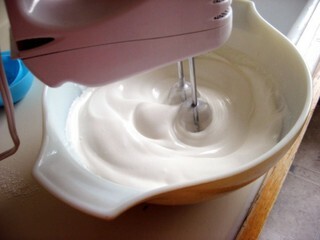 In a large bowl with an electric mixer beat together whites, sugar, cornstarch, vinegar, and vanilla on low speed until just combined. 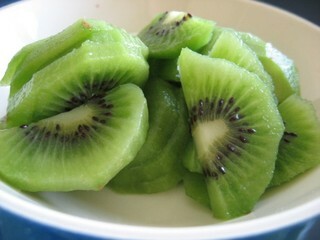 Add boiling water all at once and beat on high speed 3 to 5 minutes, or until mixture forms stiff, glossy peaks. 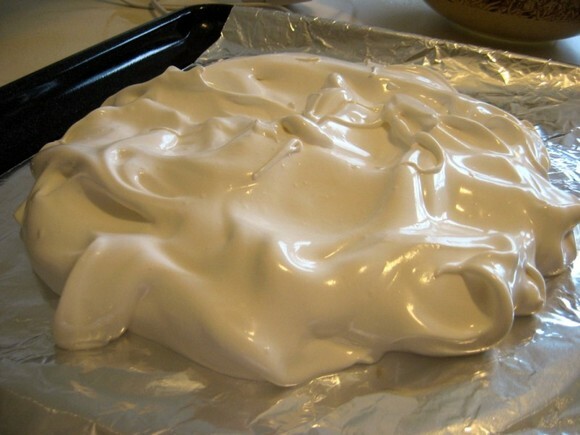 Spoon meringue mixture onto baking sheet and spread into a 9- to 10-inch circle. 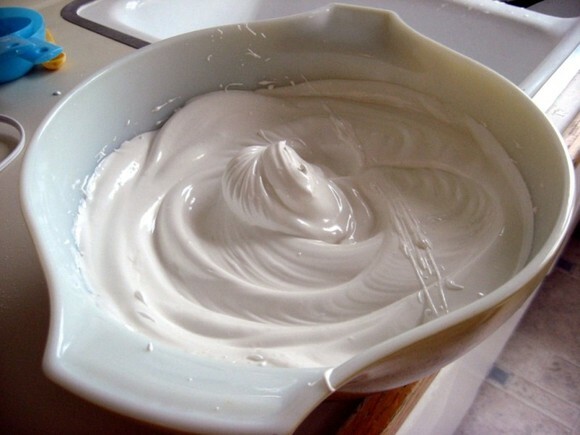 In a bowl with cleaned beaters beat cream until it holds soft peaks and spread over Pavlova. 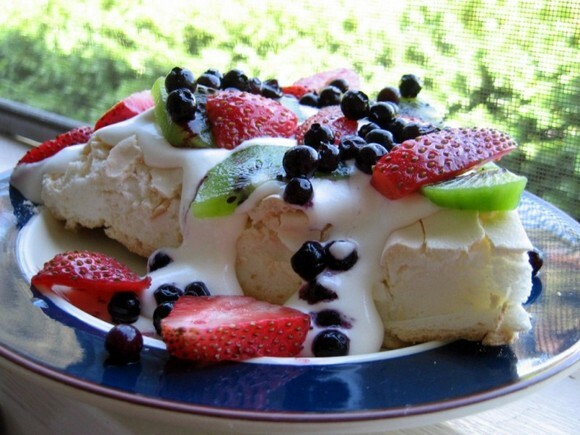 Mound fruit on top of whipped cream. This is a gorgeous dessert that always receives oohs, aahs and contented moans of pleasure! I learned a few tips from an Australian friend (pavola originated in Australia and is almost a national dish) that make it fool-proof. 1) For best volume, egg whites must be room temperature. 2) Bowl/beaters must be scrupulously clean. 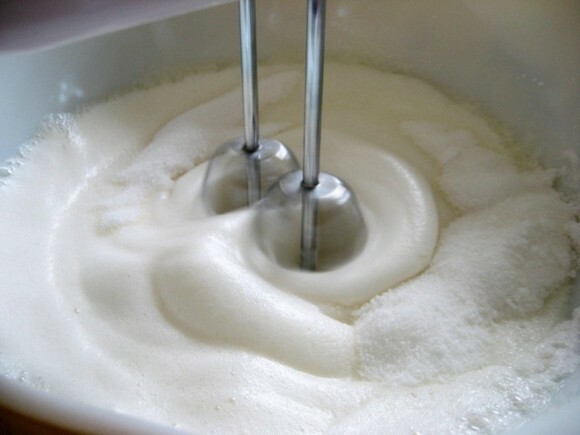 3) Beat egg whites and other ingredients (minus sugar) until soft peaks form. 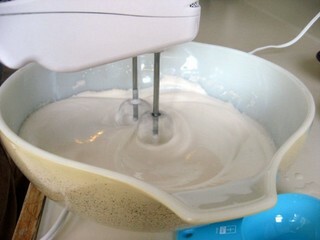 Then add sugar gradually and continue beating to stiff peak stage. 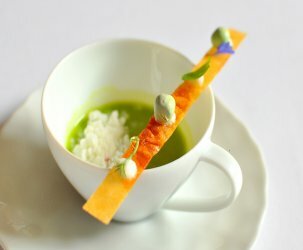 4) Add the boiling water by tablespoon rather than all at once as it may not be necessary to use all the water. 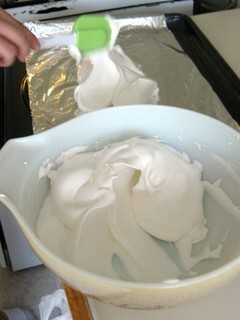 Beat after each addition until egg whites become glossy and very stiff. 5) Bake as directed but leave in oven to cool/dry for at least 2 hours. 6) If kitchen is very humid, egg whites may not beat to desired volume/consistency or the finished pavlova may soften and become a little sticky. 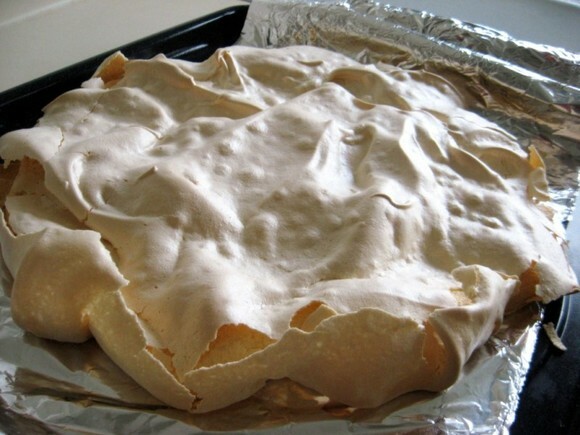 A good pav should be pale golden in colour, delicately crisp on the outside, dry but tender on the inside. It should not be hard/crunchy nor soft and marshmallow-like inside. Hope you find these comments helpful as you make a beautiful pavlova. I think I will try this for the next potluck. OMIGOD! This looks so good, it just might inspire me to become a dessert person. 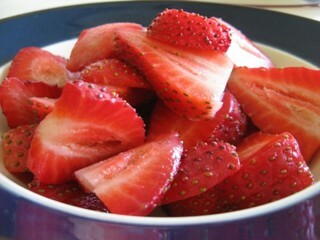 Yummmmy!!! 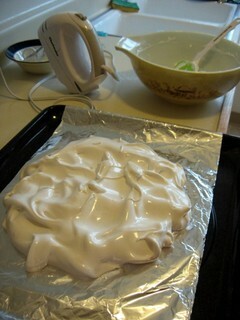 I could see myself being tempted to break pieces off of the crispy exterior on the Pavlova while it is cooling! It looks so crunchy! Question: what did you do with the 6 egg yolks??? Miss.Adventure, how about using the leftover egg yorks for creme brulee? 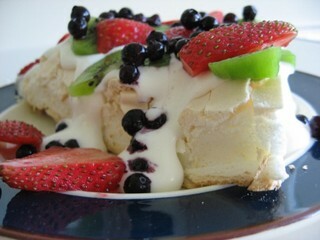 =) More decadent desserts, oh dear..
Quyenann – You’re welcome and do let me know how your pav turns out! Tom – Wooooooooooooooooooot! Love your enthusiasm for pav!! 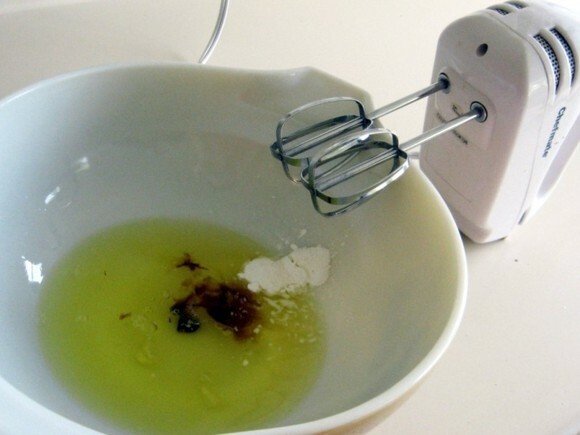 ohmygorsh… your pictures are gorgeous and actually make me want to dust off my hand mixer and make this. I love gooey crunchy creamy desserts. 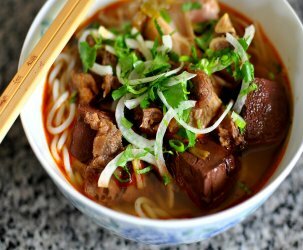 Gosh this is mighty impressive and smthg that can never be recreated in the poor expat’s kitchen in VN…Guess I’ll just have to whip out my Maid-Ready Meals book rite? You now remind me of Alton Brown…u no how he is? His show on the Food Network slips my mind but he’s the nerdy chef/researcher and host of US Iron Chef! Just posted some Philipina pics on FB. hope u r fantastic and now i wish i went to eat palova w/u at jaspa’s! Ill go myself soon 🙂 take care and lotsa love from hcmc! My signature dessert is the Pavlova. My recipe is from an old Gourmet magazine issue. I have made this dessert for the past 10 years and it has never failed to impress. The recipe I use has a couple significant differences. The recipe I use calls for only 2 egg whites. Therefore the beating time of the egg white mixture is increased until about 15 minutes. 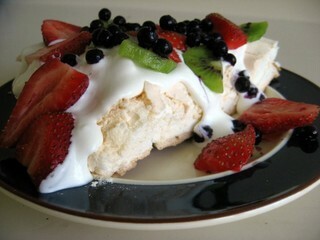 The appearance of the pavlova I make is a little different than the one in your photos. I think because I make mine a little more uniform when smoothing the mixture onto the baking sheet. But the results are fantastic, crisp outside and sweet smoothness inside! This dessert is ridiculously easy to make, yet super impressive presentation. Enjoy!